Apple announced the second generation of its wireless earbuds, AirPods, on Wednesday, saying the new version will include a wireless charging case, longer battery life and hands-free access to the iPhone’s digital assistant, Siri. The first generation of AirPods received some ridicule upon their release in 2016 but have since grown into a cultural phenomenon, and the second generation adds to Apple’s expansion into the increasingly popular market for wearable technology. “AirPods delivered a magical wireless experience and have become one of the most beloved products we’ve ever made,” Phil Schiller, Apple’s senior vice president of Worldwide Marketing, said in a statement. The new AirPods will include an H1 chip developed by Apple that will give the device an extra hour of talk time, faster connections to a device, hands-free access to Apple’s “Siri” voice-control, and the wireless charging case, Apple said in a press release. AirPods with the wireless charging case will cost $199. Customers who already have AirPods can upgrade to the wireless case for $79. The first generation AirPods cost $159. In recent years, Apple has been expanding its catalog of wearable devices. The company’s Apple Watch is able to track personal and health information. 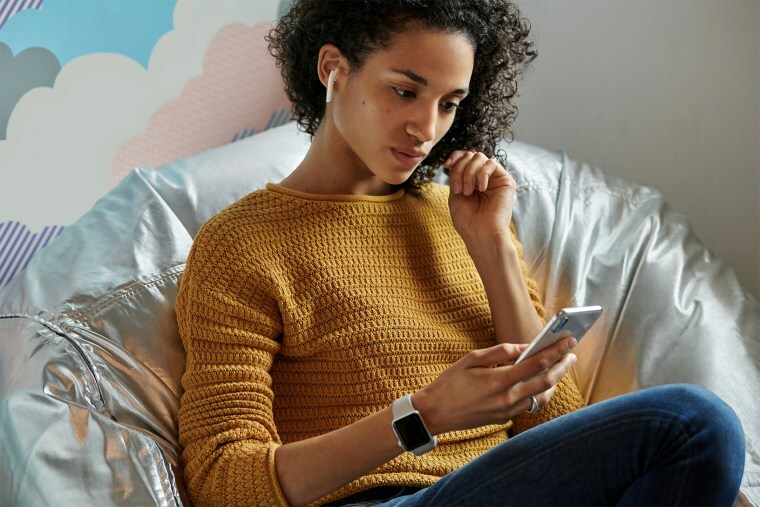 Analysts have said wearables could be a major area of growth for Apple, and although the Apple Watch hasn’t gained the cultural significance of the AirPods, it does contain a feature that some analysts say could be in AirPods’ future: biometrics. Researchers have noted that Apple filed a patent for wireless earbuds in December that include biometric sensors. The new generation of AirPods do not boast any biometric tracking technology, according to the press release, and Apple declined to comment on whether or not plans for biometric trackers are in the device’s future. Despite the upgrades included in the next generation AirPods, their appearance has remained the same, and the initial reactions to the announcement were mixed on Twitter. “But nice that you can buy the wireless charging case for the old AirPods for $79,” Silverman added. Earlier this week, Apple announced its new, ultra-thin iPad Air and an upgraded iMac desktop computer. Apple also announced it will hold a special event Monday at which it is expected to announce a new subscription media service.